It’s not often that a filmmaker who comes at you with a fantastic first feature can follow it up with an equally outstanding second feature. Most fall down with something self-indulgent or pretentious. Not Jordan Peele. After winning an Oscar for his script for the excellent horror/satire Get Out, Peele could have sat on his laurels and given us more of the same. 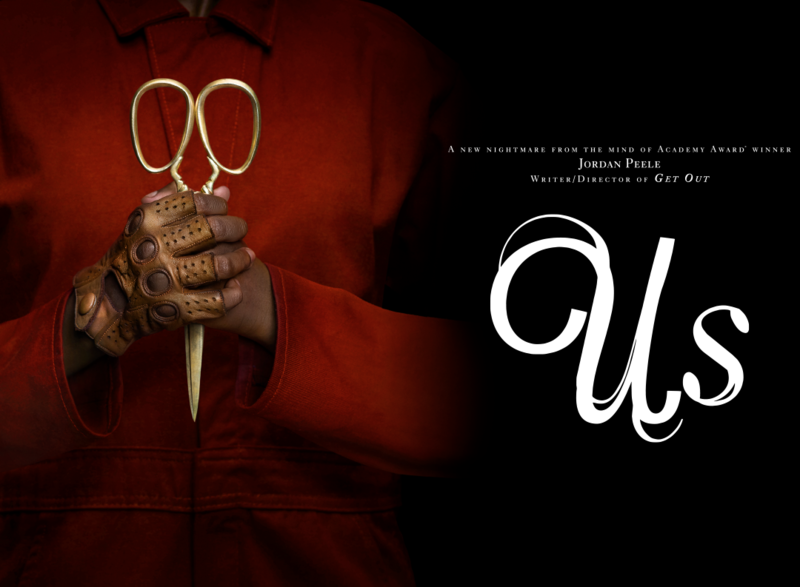 Instead, he has given us an ingenious, imaginative, chilling tale that will leave you baffled, amazed and screaming that Peele is the new king of horror. After suffering a childhood trauma on a visit to the beach of Santa Cruz, Adelaide Wilson returns as an adult with her family for a holiday. While there, the thoughts of the events inside a hall of mirrors start to rear their head, and the family soon find themselves under attack from a group of doppelgangers. I have tried not to give away too much of the plot as the joy of this film is discovering events as they happen. Peele breaks this film into two sections: the first introduces the characters while the second is the shocks and thrills. This helps the film along. We get to spend time with the family, watching them bicker and learning about their habits and what makes them tick. These are regular, ordinary people on holiday. They travel in a car singing and discussing the contents of a song. They sit at a table having conversations about sports and not eating correctly. These scenes make the second half work exceptionally well as we care about these people. When the horror comes, it sends shivers up the spine. A home invasion tale in which the invaders look exactly like those being attacked. Surprisingly, Peele has kept the humour at bay in the first part, but as comedy and horror are so close, it is the second part when he sneaks in the laughs, including a misheard call for help that triggers a hilarious song choice. Everything about this film works, from the score, which is reminiscent to the music in The Omen, to the camera work to a script that starts off with throwaway lines, all of which are important in one way or another. Characters that are fully rounded with just one sentence. The way everything is mirrored (mirrors play an important part) from the numbers 11:11 to the scissors to the use of jukebox music, including one that gets merged into the soundtrack. And then there’s the rabbits. Peele understands that the audience who came to see his previous film need to have that same underline connection with modern society. In his last movie, it was indeed about race. This time, it’s a broader canvas, as the title alludes to. It isn’t just about Us, it’s about the US, and while it may not be apparent in the first viewing, the film actively takes digs at the current political state of the country. This is what I like about the film and Peele’s work. Nothing is black and white. It would be easy for him to merely deliver lazy, cheap thrills. Instead, he creates an atmosphere, peril and at the same time, makes you work. Yes, it’s crowd-pleasing, but he hasn’t forgotten those who like to look deeper into the heart of a film. It might not be all blood, guts and gore either or the jump scares that are delivered in abundance in most modern horror films. This is more about where we are being taken as a viewer. We can never second guess a thing. The film also includes some tremendous performances. 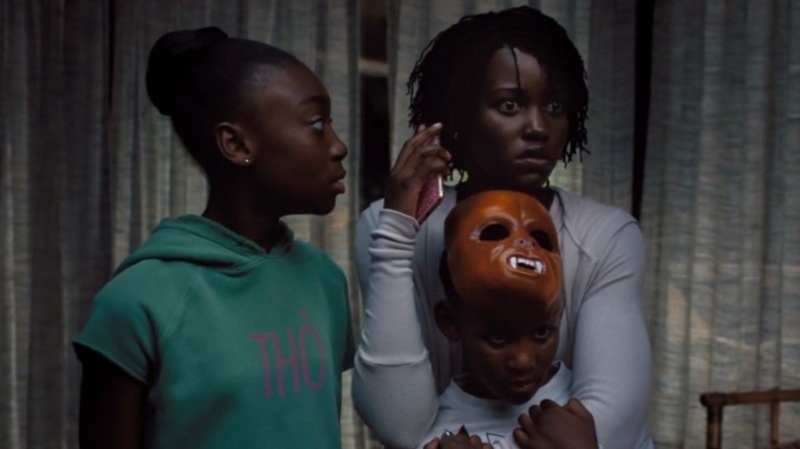 The kids, Shahadi Wright Joseph and Evan Alex, are terrific, while Winston Duke as Gabe, Adelaide’s husband, bringing a likeable, lightness to touch to his father figure. Yet the film belongs to Lupita Nyong’o. Giving us two outstanding performances, she is allowed to show sides of her we have never seen before and this could be the movie that makes her a star. As Peele says himself, she is both Hannibal Lector and Clarice Starling. Us is a masterpiece. A terrifying, exciting thrill ride that demands a second viewing, just to take everything in. If you want a horror that is intelligent, witty and genuinely spooky, with enough surprises to make your head spin, then this is it. It’s one of those films that will trigger so many conversations in bars and restaurants after people have seen it. What’s it really about? You have to decide. 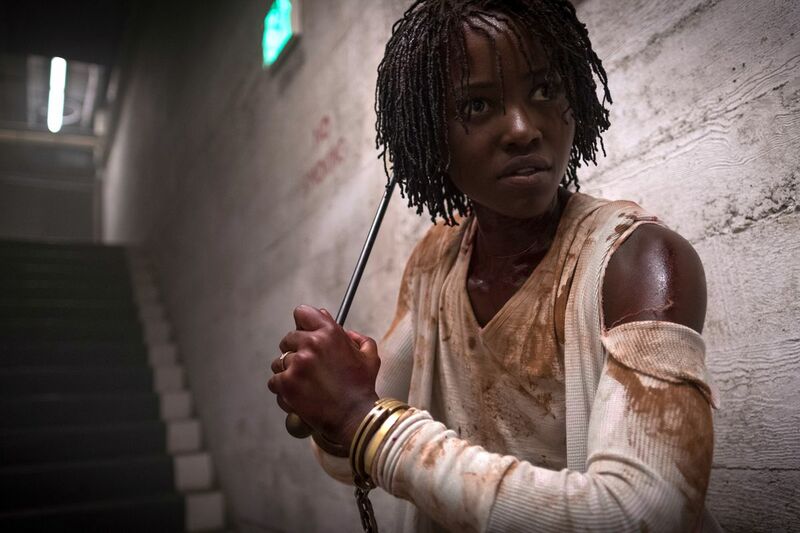 All hail, Jordan Peele, the new king of horror.